High Court of Kerala speaking through Justice Muhamed Mustaque, in Mrs Sobha George Adolphus v State of Kerala and others has ruled that a child has every right to get promotion, even in a unaided minority institution upto elementary education level. The issue in the writ petition is regarding the denial of promotion to the grand child of petitioner from 6th to 7th standard at St.Joseph Public School, Pattanakkad, Cherthala, during the academic year 2015-16. Petitioner's claim is based on Section 16 of the Right to Education Act ( “RTE" Act). Petitioner approached the various authorities, including the Government. Though the Government issued certain directions, those directions were not complied with by the school authorities, stating that, the school is an unaided recognized minority institution. An order was passed by the Kerala State Commission for Protection of Child Rights, recommending the school authority to promote the child from 6th to 7th standard, forthwith. The order was passed on 13.10.2015. However, all attempts of the petitioner ended in vain, on account of non-compliance. Accordingly, the petitioner approached the Court. Three questions were posed up for consideration before the court:- (i)Whether the writ petition was maintainable? (ii) Whether the child has got any fundamental right to seek promotion per se upto primary education level, relying on provisions of R.T.E act? (iii) Whether such a right if so available , could be enforced against a minority unaided educational institution? 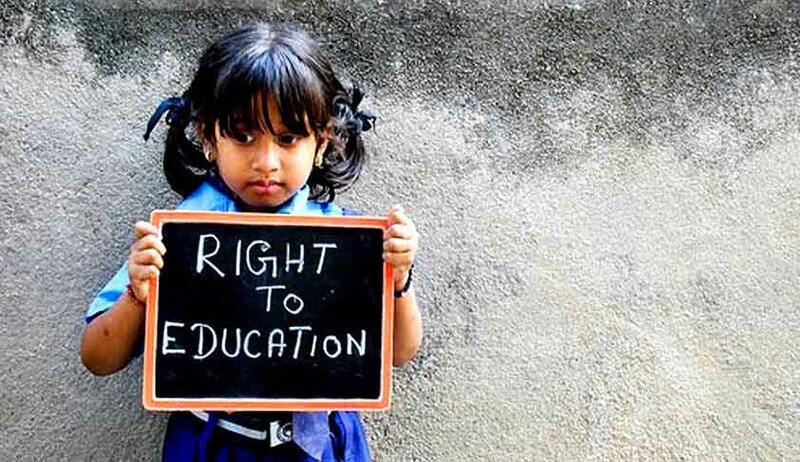 The court then went on to hold that with due reliance to Section 16 of R.T.E , that every child had a fundamental right, to get primary education upto elementary level as means to right to life as enshrined under Article 21 of the Constitution of India. The Court then directed the school authorities to pay a compensation of Rs 25,000 to the student .The compensation has been directed to deposited as a fixed deposit with interest payable for the benefit of the child till the child attained the age of 18 years. The Court also imposed a further cost of Rs 10,000/-on the school authorities to be paid to the petitioner within a month for failure to comply with the order of the Government and Kerala State Commission for protection of child rights.